What are Your Plans for Christmas Sunday? 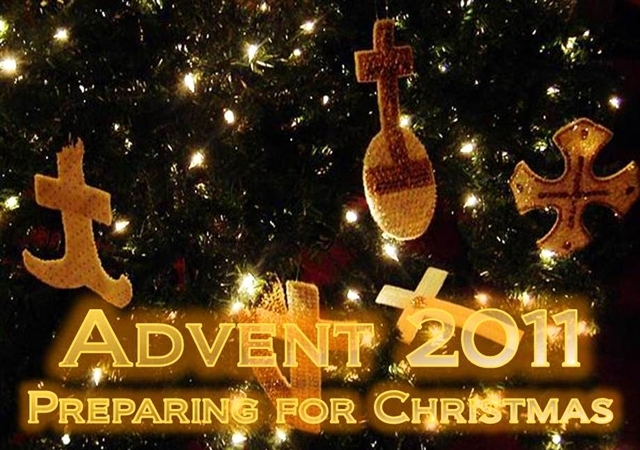 Last week in our special Advent 2011: Preparing for Christmas series we offered up some ideas on Advent studies for congregations and/or small groups who still haven’t locked in on their themes for this year. Today we’d like to present something we stumbled across whilst trolling the interwebernet - ideas that clergy, worship planners and other leaders around the country shared via Facebook and Twitter when asked, “What are your plans for Christmas Sunday?” The tips below summarize the many great – but sometimes similar – ideas. Worship. Pastors who lead from one to five services on Christmas Eve will greet members and guests again on Christmas morning. Many are planning services where the exciting merriment of Christmas morning will contrast with the soft lights and quieter joy of Christmas Eve. Here are a few of the adjustments. Use the arts. A message will be a part of every service. You can preach the message or deliver it in other ways. Music is almost synonymous with Christmas. Give people time to sing the hymns and carols they love. Perhaps, you can have someone present a Christmas monologue or short drama and intersperse the speaking with singing. A relaxed, modified “Lessons and Carols” service can let worshippers sing their favorite songs between readings of Scripture and other seasonal selections. Change times. You might consider moving morning worship to early afternoon or Christmas evening. (A person who grew up in a family that attended church occasionally thinks his family would have been more likely to attend a service in the evening rather than in the morning.) If you usually have two services on Sunday (and your worship space can accommodate the people), consider having one service on Christmas morning – and split the time difference. You might also consider worshipping earlier; move a 10:30 or 11 a.m. service to 9 a.m. on Christmas morning. Consider having a potluck brunch between services. Serve. Jesus’ birth was the Incarnation of God’s love. Following the model several congregations will “put skin on God’s love,” reaching out to their neighbors. Sing carols. If you will have two worship services on Christmas day, spend the Sunday school hour caroling at a nearby housing project or retirement home or to nearby homebound members. Collect food. 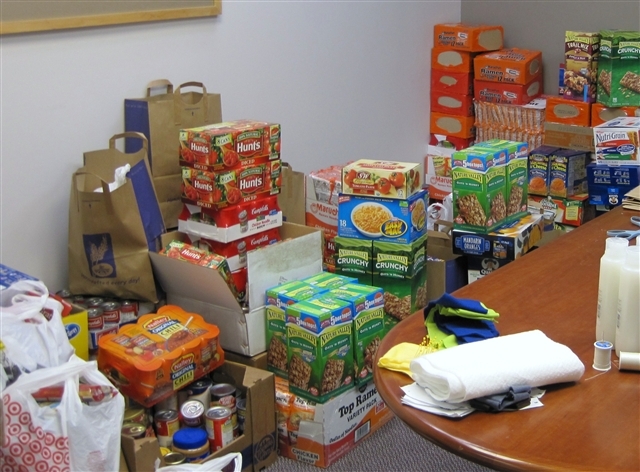 Food collections abound during Advent – but by mid-January/early February, many food pantries have bare shelves. Ask people to bring a gift of food to launch your collection that will continue through Epiphany. Build a community. Whatever other plans you are making, be sure you are intentional in welcoming newcomers or those who may not have been at church for some time. There are many reasons people come to church on Christmas Eve/Day and Easter. Sadly, some won't be welcomed. In members’ understandable excitement as they greet family and friends who may have come from a distance, they may overlook newcomers. Review these tips for welcoming guests to be certain that does not happen. Here are a few more ways to build community among members and guests alike. Laugh together. 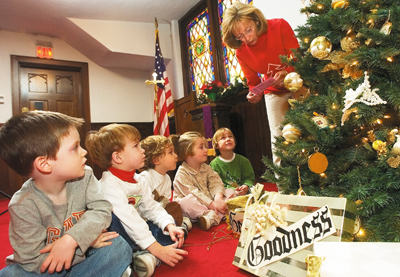 One congregation that usually worships twice on Sunday will worship once on Christmas Day – and invite children to come in their pajamas (adults, too, if they wish!). For more ideas on how to add humor to your service read, "Help worshippers keep New Year’s resolutions – laughing burns calories!" Invite inactives to come back. One congregation is inviting members who have been inactive to commit to being a part of worship and a five-week study of The Journey. The study will begin on the First Sunday of Advent and end on Christmas Day. Consider streaming. For those people who cannot be physically present for a service on Christmas Day (or Christmas Eve), consider streaming your service so they can view it wherever they are. They will treasure that gift! Here is an article to get you started. Here’s hoping you found these ideas at least fun, if not inspirational. And please, if you have a great idea for Advent and/or Christmas day services that you are willinng to share with your sisters and brothers of the CTC, send them in and we’ll be happy to post them. For instance, Bishop Lowry added the following to his most recent "This Focused Center" blog and sent it along to our attention: Prominent on every local church website (and yes, I will check about 20 to 30 websites) should be information and an invitation to Christmas Eve services. Christmas Eve is the number 1 attended service by non- or nominal Christians. The service should be planned in the light of radical hospitality to those who do not know Christ in any vibrant way. We very much look forward to hearing your great ideas.